The Carers Place officially opened its doors in 2016 but has been a business idea bubbling and brewing since 2002, when Founding Director, Cassie Day’s first son, Matthew was diagnosed with Cystic Fibrosis (CF) at 4 weeks old. Now a young business, The Carers Place provides innovative and flexible services that support families living with chronic illness, disability and special needs. Our programs and services focus on optimal mental, physical and emotional health and wellbeing including strong connection to community, government and health services in Australia. Cassie was a young mum, alone, frightened and bewildered by the medical system and the little information that she was given. Still new to motherhood, Cassie had to return to the workforce when Matthew was just six months old. The family welcomed baby Joshua a year later and, in a bid to learn about the human body to better understand CF, with a toddler and a tiny baby, Cassie began to study natural medicine. A year later the marriage broke down and a separation followed. With two children under three, Cassie added single parenting to her juggling act. Studying gave her the tools to understand how the human body worked and make sense of the medical issues Matthew was facing. This resulted in her making more informed decisions regarding Matthew’s health care, increased confidence and she introduced carefully considered complementary medicines and therapies to his régime. Two years into the course, the financial pressures and health needs of Matthew were such that Cassie was unable to continue studying and she returned to work full time. Looking back it is all very clear. While Cassie was doing everything that she could for her beautiful boys, she was neglecting herself. Her mental health suffered and the weight piled on. The loneliness, the worry, the responsibility of her role was immense. Feeling overwhelmed and like she had nowhere to turn for help or assistance, she soldiered on. Something had to give. Cassie had her own health crisis and was admitted to hospital in late 2010. It wasn’t until 6 months later she decided to take charge of her situation. 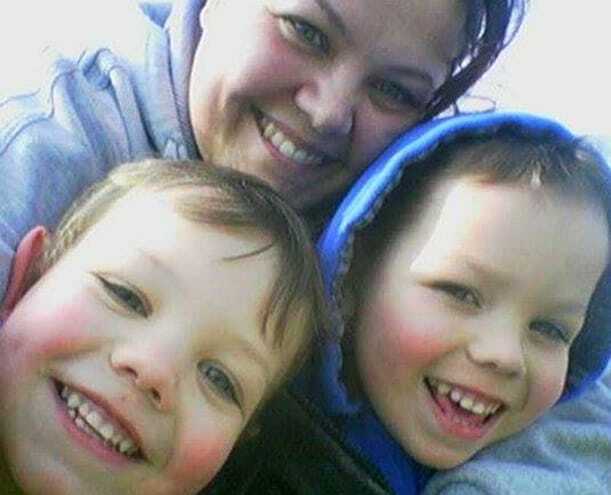 She made radical lifestyle changes that saw positive benefits for her and the boys. Matthew’s health improved and the family was connecting to each other again. Life was getting easier and better. Or so it seemed until that fateful day in August 2011 when their world came to a crashing halt. Nine-year-old Matthew suffered a nasty fall. A very nasty fall. He sustained a severe brain injury (Acquired Brain Injury) and spinal fractures. Less than a year later Cassie closed the doors to her corporate career and continued her quest to do whatever she could to help her little boys. She knew that she needed to continue to look after herself and continue the positive changes she had started earlier in the year. She needed to focus on Matthew and his rehabilitation. She made more important life-changing decisions. She was eating well and moving. She was paving the way for her and her family’s well-being to improve. She completed Certificate’s III and IV in Fitness, planning to make a career path change and became a personal trainer. Her positive mindset was developing. She was highly motivating and inspiring to others and she was moving forward again. Matthew had enjoyed a year hospital free and as his health stabilised Cassie started a successful personal training business from home. But sick kids are sick kids and Matthew’s health took a turn for the worse. After 18 months she had to close the doors and walk away from her successful fitness business. A return to researching natural medicine was on the cards after conventional medicine had made Matthew violently ill. Seeking support in a Naturopath, the changes that they implemented together were profound. Over the years, Cassie had suffered the frustrations of a medical system that was complex and antiquated. She felt that more often than not children like her son were treated for their “condition” and not as a whole person. Cassie’s advocacy skills had developed and improved over the years and she was able to successfully communicate with medical staff to balance the best health care possible for her son. She realised, as she began to help other people in similar situations, that she was not alone. People, parents and carers, were often left out in the cold, picking up the pieces, fumbling through doing the best they could with little guidance, support, nurturing or reassurance. She identified significant gaps, especially in the areas of collaborative care of sick and disabled children. Collaborative care between the health professionals, carer, the schools, the community and sporting groups was disjointed at best and Cassie realised this added an extra layer of complexity for carers who were already doing it tough. The more that people were referred to her for help the more Cassie realised that she needed to become an advocate for other carers. She needed to become a leader and a guiding light. Today as Cassie continues to care for her son Matthew, his situation is further intensified with an unexplained rapid decline in physical health, an Autism Diagnosis and an Anxiety Disorder. In amongst the chaos, Cassie runs a supportive and connected Facebook Community Parents and Carers Connect, provides online and community services under the NDIS and is nearing certification in a Diploma in Community Services. In the short two years of operation, The Carers Place has served over 700 people, forged partnerships and run programs with organisations such as Carers SA, The City of Onkaparinga Council, many small businesses, has been a guest on multiple media platforms including Local and National ABC TV, ABC Drivetime Radio with Jules Schiller, Mamamia.com and supported Merc at the 2017 National Carers Conference. Cassie has so much to give: knowledge, resources, kindness, humour and experience. She set about designing her dream – to create a place where carers feel heard, seen, understood, supported, are connected and ultimately feel safe. And so began the story of The Carers Place. A super warm welcome to you, we hope you enjoy the journey. The Carers Place may only just be beginning but it has a clear path set out before it and a Founding Director with heart, soul and dogged determination at its helm.